Input text: the very humongous orange skull is 35 feet in the orange shiny tree. the sun is orange spice. it is dusk. the orange light is 5 feet to the left of the tree. it is 20 feet above the ground. the ground is orange. 7 skeletons are in front of the tree. they are facing the tree. 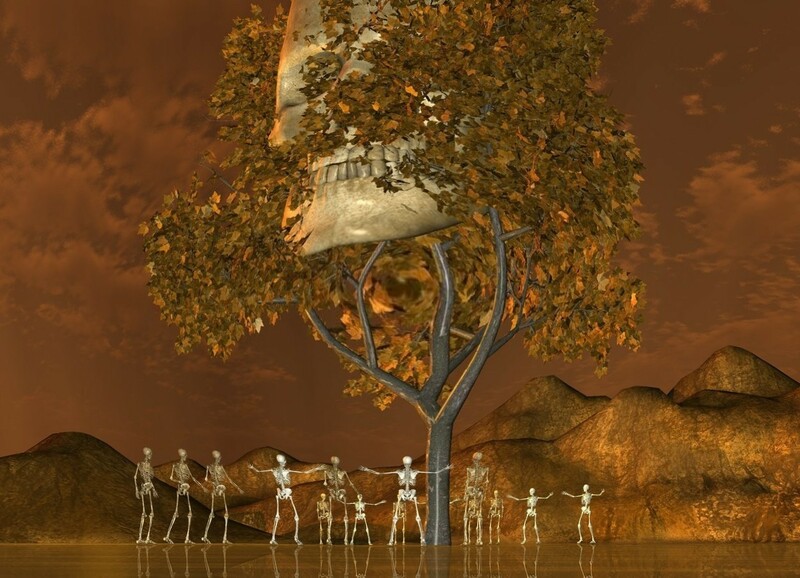 8 skeletons are behind the tree. they are facing the tree.